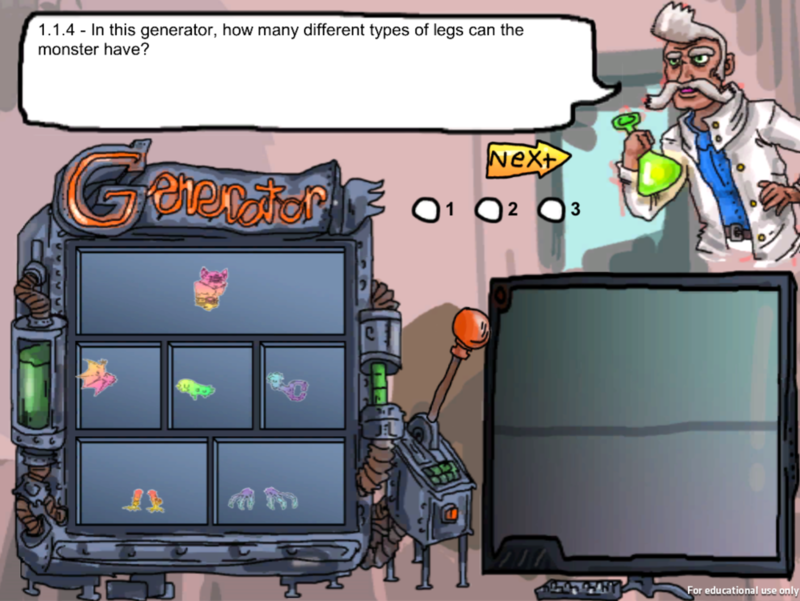 The Gist : Monster Mashup teaches middle schoolers basic probability through a video game based around a monster generator. Through the instruction of Dr. What, students are able to learn math through play. The Process : Monster Mashup was developed through the last 8 weeks of a semester-long class, Designing Educational Games. Our scope was to teach the Common Core Math Standard for basic probability covered in 6th - 8th grade. Ideation, a platform change (Flash to Unity), and prototyping took place for the first 5 weeks, with implementation and playtesting in the last 3 weeks. In its state right now, more of the game is being developed along with a storyline and discussions with current teachers about probability in middle school.